You can download it from here. You also need some development packages if you are in Linux. You can find it easily in google. And of course you need a C++ compiler. Open Qt Creator and start a new project. There are many choices here, but for now you can select Qt Widget Application. Select a name and the save location and your project wll be ready. 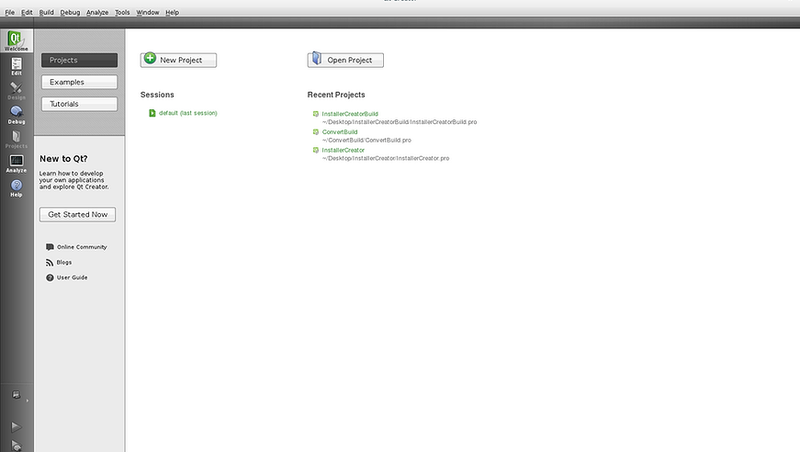 In the left side you can see all the files of the project. Click on .ui file. This is the designer. Here, you can create a GUI with just drag and drop! A good tutorial about Qt is in TheNewBoston. 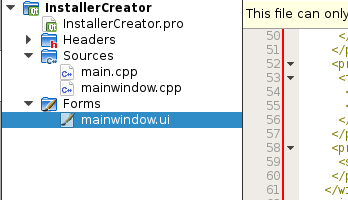 In the picture below you can see InstallerCreator! Designer created an XML layout so you don’t need to write the GUI programmaticaly. 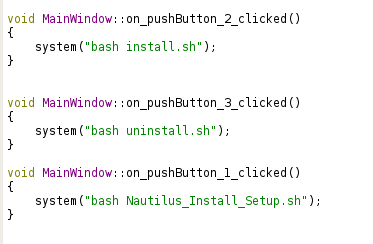 If you want to run bash script when the button clicked select “Go to Slot” choice in the right click of a button. Select “clicked” or something else. This, will guide you to the .cpp file. Here you can edit the listener function you just created. If you want to run a sctipt use system() function with the right command as a string. If all went well you will have the executive that is capable to run in every computer with the same bits architecture. That post saved my life !! !